Flight path of plane that returned to airport Sunday night. PHILADELPHIA (WPVI) -- There is no word if an American Airlines plane that had been diverted to Philadelphia International Airport is headed back to its destination of Spain yet. It had been diverted to Philadelphia because of a problem with the landing gear. American Airlines flight 740 originally took off from PHL just after 7 p.m. Sunday, headed to Madrid. 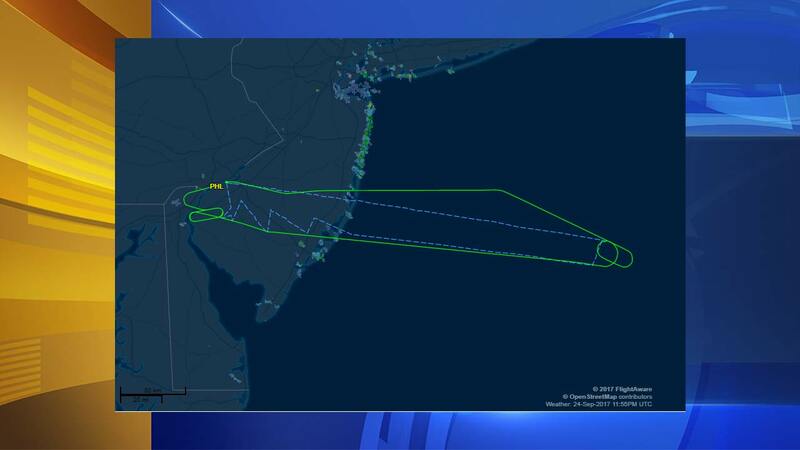 The flight was then diverted back to Philadelphia and safely landed around 8:45 p.m.